Is Spider-Man: Into the Spider-Verse the best Spider-Man movie yet? This summer, Sony Pictures releases a movie that caters for the tween market; an often forgotten demographic. Introducing Spider-Man: Into the Spider-Verse. We were treated to a preview of this rather special superhero movie at the weekend. Spider-Man: Into the Spider-Verse is an American computer-animated movie based on the life of Marvel Comics' newest Spider-Man character; Miles Morales. Phil Lord and Christopher Miller, the creative minds behind The Lego Movie once again tap into their creative talents with Spider-Man: Into the Spider-Verse. It should be noted however, that although this is an animated movie, it is not as "cartoony" as The Lego Movie and has a slightly darker more "grown-up" feel to it. This is not a Marvel movie aimed at a mature audience either, but something in-between. Spider-Man: Into the Spider-Verse is refreshingly different. 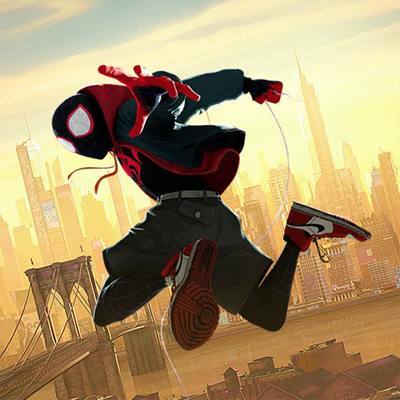 The movie introduces cinema-goers to a younger-aged superhero character; Brooklyn teen Miles Morales. Morales is bitten by a radioactive spider, after which he suddenly develops mysterious powers that transform him into Spider-Man. How will Morales aka Spider-Man use his newfound skills? Even die-hard Marvel fans will appreciate Sony's new flavour of the franchise. Keep your eyes peeled for the late Stan Lee's cameo appearance. If you are looking for a family movie to escape the heat this summer with your mid-primary aged children and above, take a journey Into the Spider-Verse. Spider-Man: Into the Spider-Verse is receiving great reviews so far. Some are even calling it the "best Spider-Man movie yet." It is easy to see why.